FADER is a new collaboration between Neil Arthur of BLANCMANGE and Benge, best known for his work with WRANGLER + JOHN FOXX & THE MATHS. 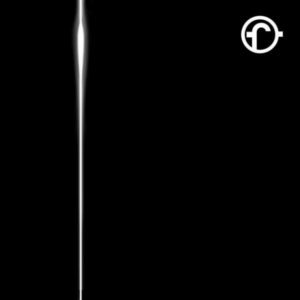 The FADER album ‘First Light’ showcases the strengths of both involved, whilst evoking a purist analogue electronic sound that harks back to the first wave of Synth Britannia when acts like THE NORMAL brought technology into the punk ethos. Neil Arthur and Benge kindly spoke to The Electricity Club about their methods of collaborating, influences and threw in a bit of tech talk along the way. How, when and why did you both hook up together musically? Neil: We were introduced to each other by our manager Steve Malins. 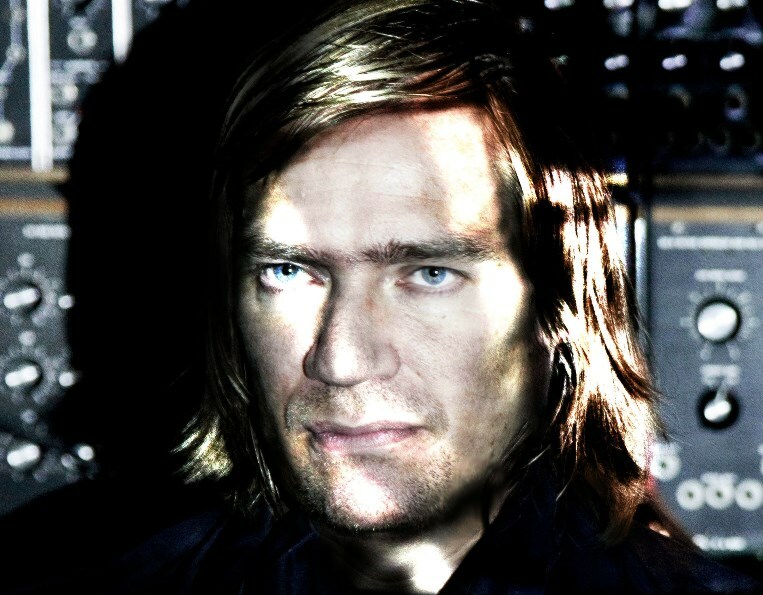 I’d heard Benge’s work with WRANGLER, JOHN FOXX and his own work. Steve mentioned Benge had some ideas he’d put together initially while he was out in LA. He started sending over the tracks and I started writing lyrics. I quite liked the idea of receiving all this info, having only met Benge once briefly. Benge: Yes I had decided to move to LA for a few months and set up a little studio there. I rented out my studio in London to some friends and with the proceeds I rented a small space up in the hills, got onto eBay to buy a few choice pieces of analogue gear, and spent every day writing tracks. Some I put out myself and some got used with WRANGLER, but I had a whole bunch of tracks that fitted together as a body of work, but it lacked something… that’s where Neil casually stepped in!!! Did you have a shared musical manifesto for the album before starting? Benge: Originally when I was writing in LA, I had a sound in my head I was trying to get out. It was inspired by the edgy city-type sounds of some of my favourite films such as ‘To Live & Die In LA’, ‘Assault On Precinct 13’ etc. There is a weird undercurrent in that place that got under my skin. Also living in a new city on your own is a strange experience and I think some of that came out in the backing tracks too. I think Neil’s lyrics picked up on these things without us really discussing them. I am very happy with the result. Neil: No. Well maybe an unspoken one – all instruments must be analogue. That extended as far as possible to the artwork design. Once we came up with a design, Benge wanted the type to be set from the typewriter he owns. It took a while but we got there. The press biog that accompanies ‘First Light’ suggests that you mainly worked separately on the album, was that the case and how did that pan out? Neil: Yes, Steve sent the files he’d received from Benge. I in turn sent my efforts back via Steve. I think it worked well, in terms of getting the album finished, fitting in other commitments etc. ‘Check The Power’ is a haunting tale about OCD, is this subject matter that is close to home for either of you? Neil: Yes, it’s happening now. There was a time when aspects of OCD controlled my life. Not just my life but those around me too sadly. The trusty Linn Drum makes a welcome reappearance on ‘Check The Power’, is there a certain amount of nostalgia attached to this device for you now? Neil: The Linn Drum is there because Benge chose to use it. I like the Linn and use it on my own work, it doesn’t really carry nostalgia though, that is unless I get misty eyed and wistful. MemeTune studio has such a large collection of synthesizers and drum machines, how do you go about choosing which ones to use on certain tracks? 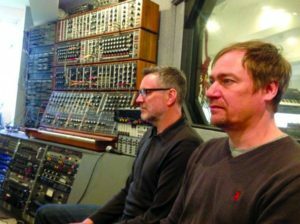 Benge: When Neil started sending over his vocal ideas, I was very excited because I could hear how far he was taking the tracks, into this new place that I could not have imagined. At that stage we started adding a few synth parts and rhythmic developments, and worked on the arrangements. We tried to keep the new parts simple to fit with the idea of this weird edginess that had developed. 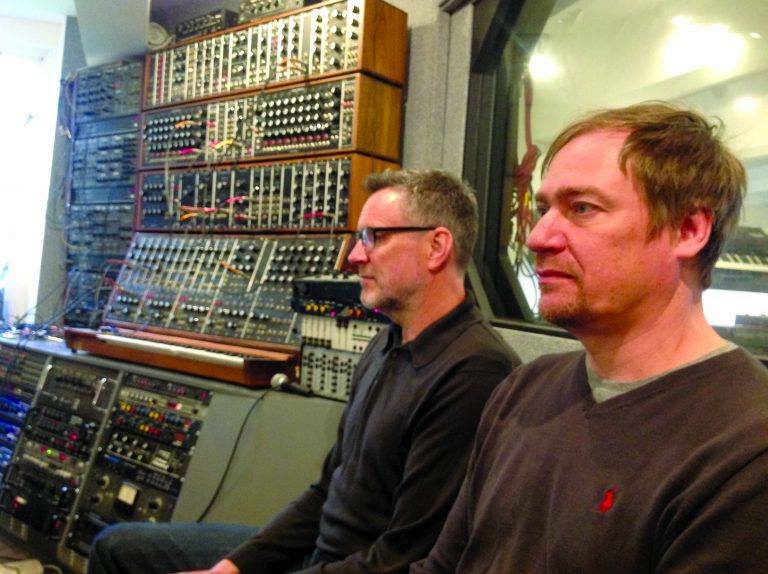 Neil, did you ever at any point get studio envy about Benge’s synth armoury? Neil: I was running around like a child in a sweet shop, unable to take it all in and honestly, there wasn’t time to absorb everything. The emphasis was on getting the mixes done, so we could get down the pub. I hope to return, to his studio and the pub! Benge, was your approach to working with Neil different to (say) JOHN FOXX and if so, in what way? Benge: I do tend to work in a similar way with people I collaborate with, in the sense that I like to have some fairly strong frameworks for tracks to start with. One problem with having a lot of options available in the studio is knowing where to start a piece. If there isn’t a strong backbone to work around, you can end up spending hours going round in circles. Although it’s still fun going round in circles sometimes. In comparison with your work with WRANGLER or JOHN FOXX & THE MATHS, FADER sounds much more musically upbeat and melodic, was this a refreshing approach to take? Benge: We tried to keep the tracks as simple as possible and I think this helps the album sound fresh. We also wanted the album design and artwork to keep true to a fairly minimalist approach. There’s a strong undercurrent of THE HUMAN LEAGUE Mk1 running through this album, if you could choose a Desert Island Disc track from them, what would it be and why? Neil: ‘Being Boiled’. I saw their first show in London and was immediately hooked. The Fast EP is wonderful. Although the song that I used to look forward to them performing was ‘You’ve Lost That Loving Feeling’. Mr. Ware has quite a voice! ‘3D Carpets’ sounds a bit like if ‘Faith’-era THE CURE had ditched guitars altogether, what are your viewpoints on mixing guitars with electronics? Neil: It wasn’t even considered with FADER. With BLANCMANGE, it’s there just like any other instrument, if it fits and serves the purpose I’d use it. With ‘First Light’, do you feel that you’ve almost arrived full circle with the sound that you started on the first BLANCMANGE ‘Irene and Mavis’ material? Neil: No, this is more sophisticated technically, where ‘Irene and Mavis’ is really lo-fi and DIY. There’s not a synth to be seen or heard on that EP. The nearest we got was the rhythm unit on ‘Outro’, when we borrowed Mark Cox of MASS and REMA REMA’s unit. I think it was a Roland Rhythm Arranger TR66. The rest was home found or made instruments, a cheap guitar, an organ and echo unit. Is there any point when the seed of an idea comes to either of you where you think “Oh, this will be great for…” or are you always focussed on the project in hand? Neil: Lyrics sometimes come along that end up in a pile marked “use somewhere else”. In general, I reacted to what Benge was sending me, although a few like ‘Liverpool Brick’ were written prior to hearing the music. Benge: I definitely put tracks aside and save them up in categories and compilations – that’s just how this album came about, except I didn’t know at the time that Neil would be working on them too! BLANCMANGE have been occasionally well known for their covers for ABBA through to CAN and CHIC, were you not tempted to include an electronic re-interpretation on ‘First Light’? Neil: No, that wasn’t going to happen from my point of view. I was very happy to work on the ideas Benge sent over to me. Can we expect future collaborations between you both and will there be any live shows to back up the release? Neil: We did mention a FADER 2 album in conversation. Live shows, no. Your album opener ‘3D Carpets’ was inspired by Hunter S. Thompson’s ‘Fear And Loathing In Las Vegas’. TEC has it from reliable sources that Johnny Depp spent $3 million firing Thompson’s ashes out of a cannon perched 153 feet on top of a hill! Do either of you have an exotic request that could match this once you’ve both shuffled off this mortal coil? Neil: Something pretty much like that, but from lower down, if Mr Depp is ok with it. Benge: I wonder if Mr Depp can write that off against tax?